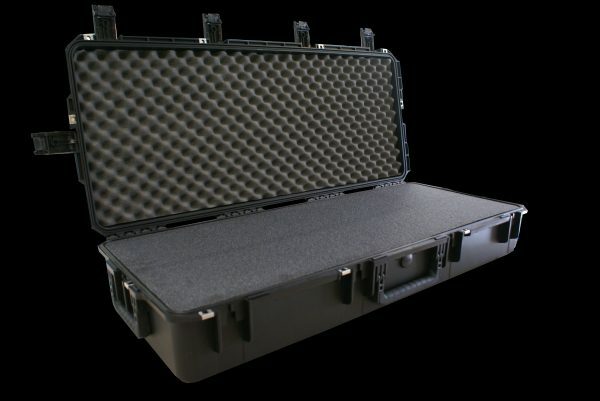 SKB 3i Series MIL-Spec Case with Solid 2.2lb Mil-spec closed cell polyethylene foam (A $100 upgrade from Pelican/Storm). 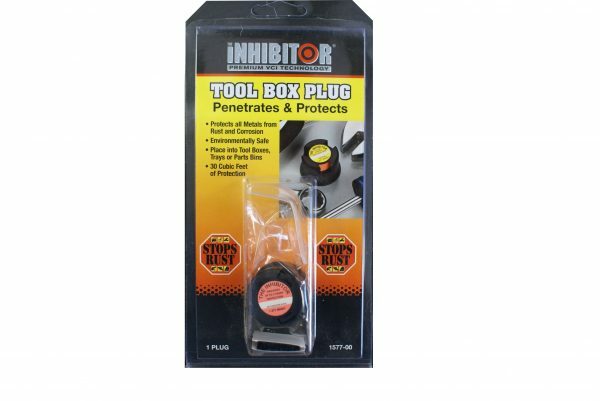 Passes Mil-C 810, 4150J, FAA and ATA Category 300 for protection. 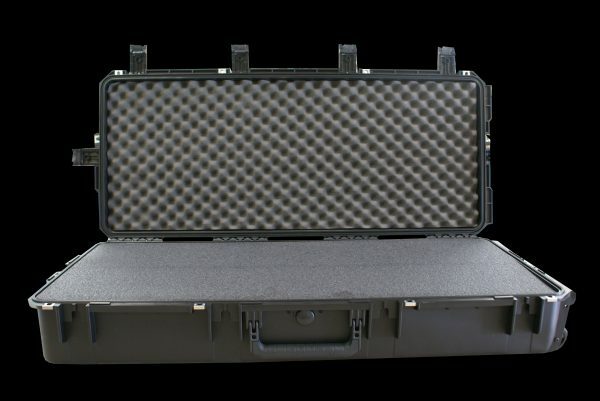 Foam is impervious to oils/solvents and the extreme density gives superior protection to rifles and sensitive equipment. 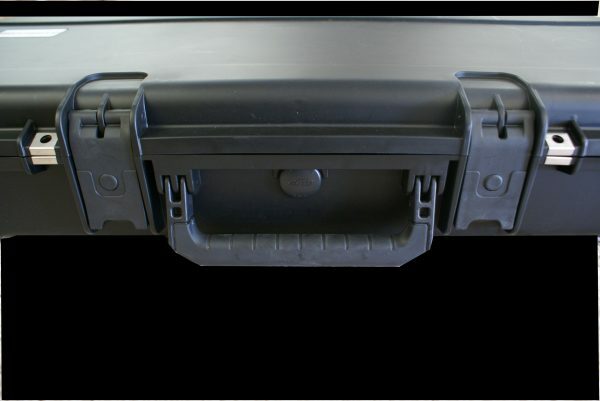 Lid foam is convoluted polyurethane and the bottom comes with two .375″ thick polyethylene pads and two 1.75″ thick polyethylene pads. 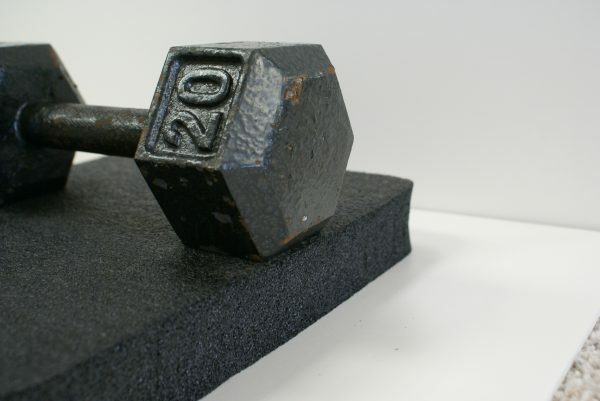 Unconditional Lifetime Warranty. ****If you wish to have the interior cut to your custom specs, please specify CUSTOM CUT in the comments section on the order form. There is a $50 charge for in-house customization. 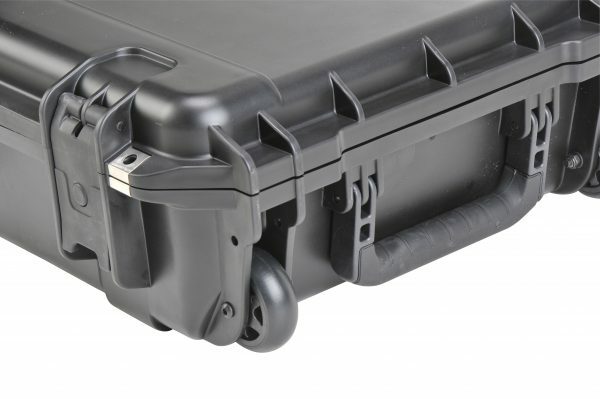 SKB 3i Series MIL-Spec (Extra Wide and Extra Deep) Case with Solid 2.2lb High Density Mil-spec closed cell Polyethylene Foam (A $100 upgrade from Pelican/Storm). 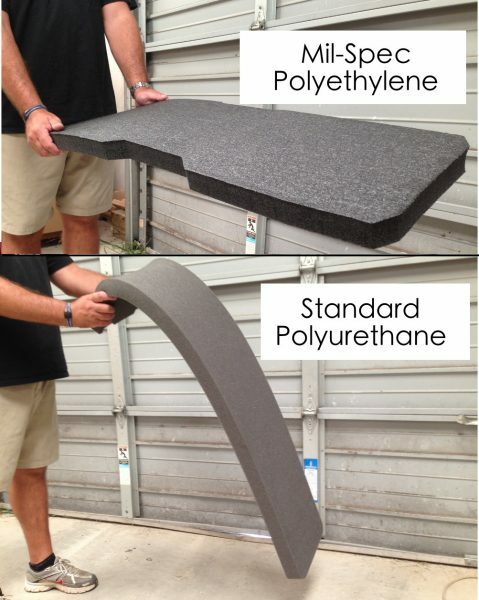 Lid foam is convoluted polyurethane and the bottom comes with two .375″ thick polyethylene pads and two 1.75″ thick polyethylene pads. 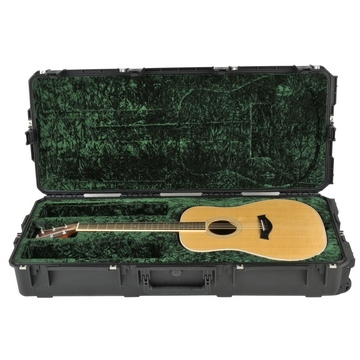 This case qualifies for FREE custom fitted 2.2lb HDPE polyethylene foam cutting. To create fitted foam interior, acquire construction paper (butcher paper, roll out paper, etc) large enough to fit your items. Trace the rifle and mail the tracing in to us. 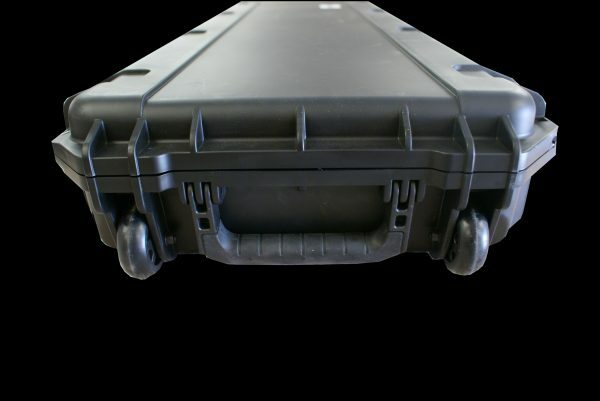 We will contact you once it arrives to go over exactly what you want. 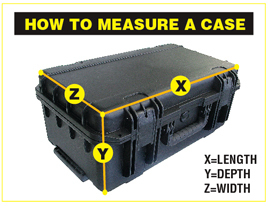 Lead time is 10 days after receiving the tracings. 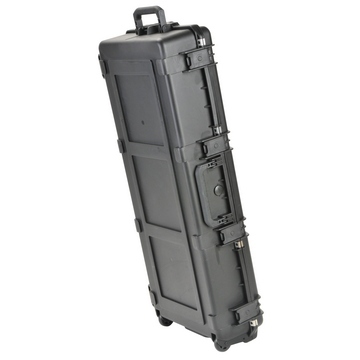 Internal Dims: 42.5″ long x 17.5″ wide x 7.5″ deep. 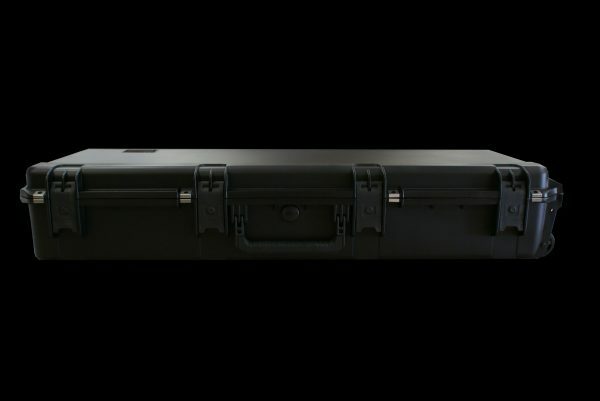 Free custom name label on the exterior of the case. Please indicate the name you want to appear on the name label in the COMMENTS section of the order form.